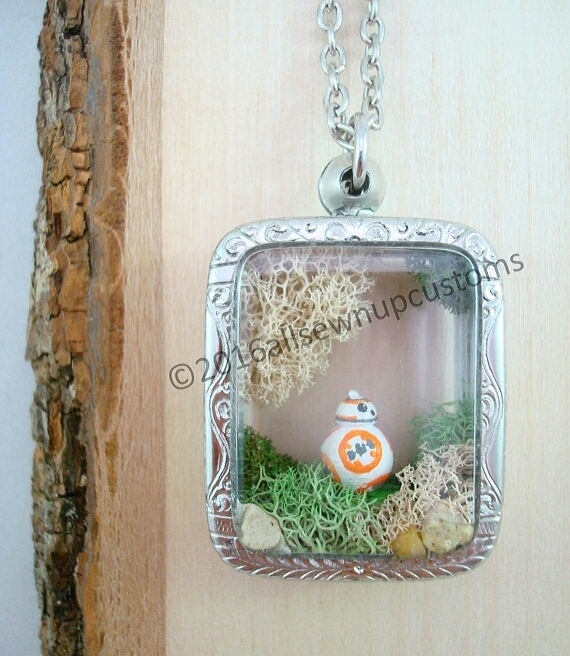 The first time we saw All Sewn Up Customs' wee BB-8 terrarium necklace we SQUEALED! 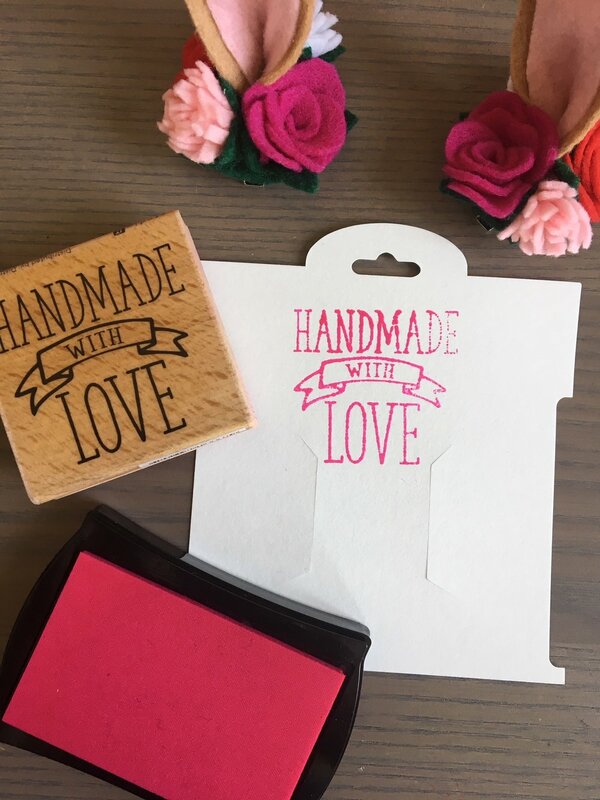 Designer Amanda LaMartina's work is fun and creative and happy and JUST what we need for Heartmade! She was kind enough to send us some awesome workspace photos so that we can watch the tiny magic happen -- check it out and buy your own pop culture goodies on April 7! "Here's where the magic happens! Current project on the table are hand casted mini characters. I'm filing down any rough edges and prepping them for paint. I make these mini characters for my one of a kind, terrarium necklaces. 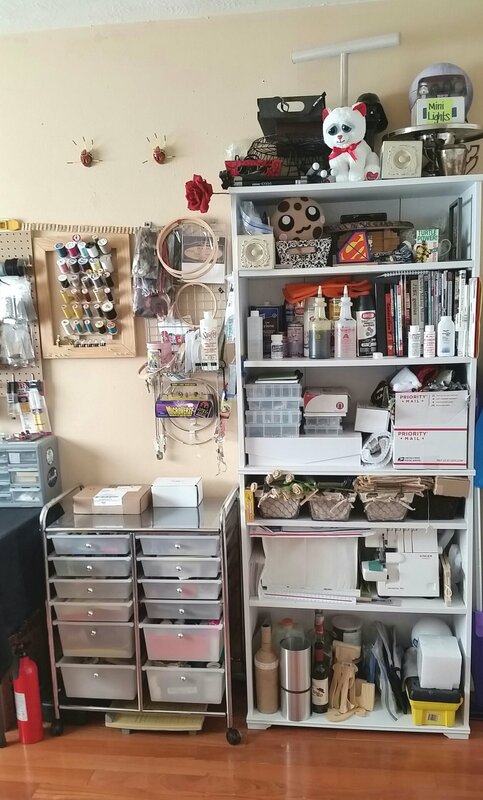 A few things I love about my studio are, it's in my home (can't beat a 10 second commute), there's lots of natural lighting, and I have a place for all my tools and supplies for projects from sewing to torch soldering." We asked our artists and makers to send us photos of their workspace so that you could see how the magic is made. Check out the series for more behind the scenes shots of these talented people and their creative spaces. 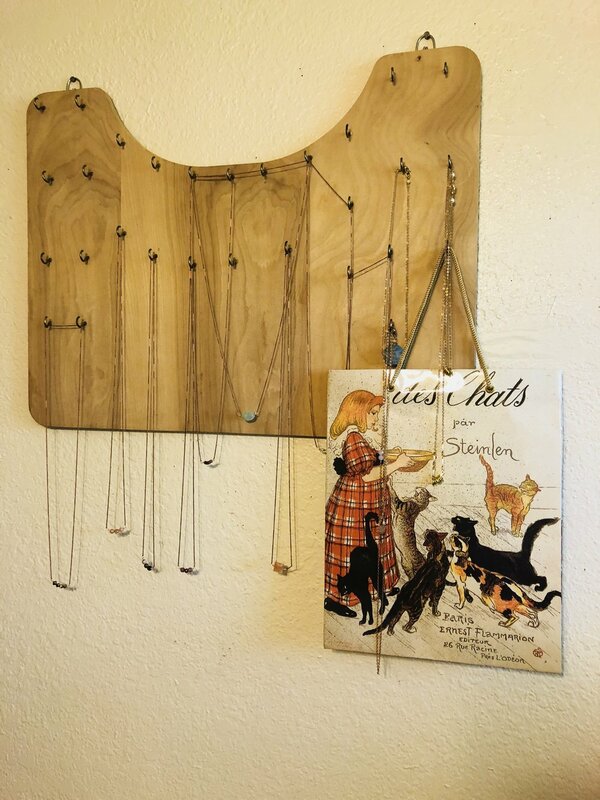 Today we take a look behind the scenes at Debbie Sakach's workspace, where she creates the beautiful jewelry for Rust & Pearls. Debbie is an original Heartmade artist and we are very excited to welcome her back all the way from Austin! Come buy some of her sparklies on April 7th! 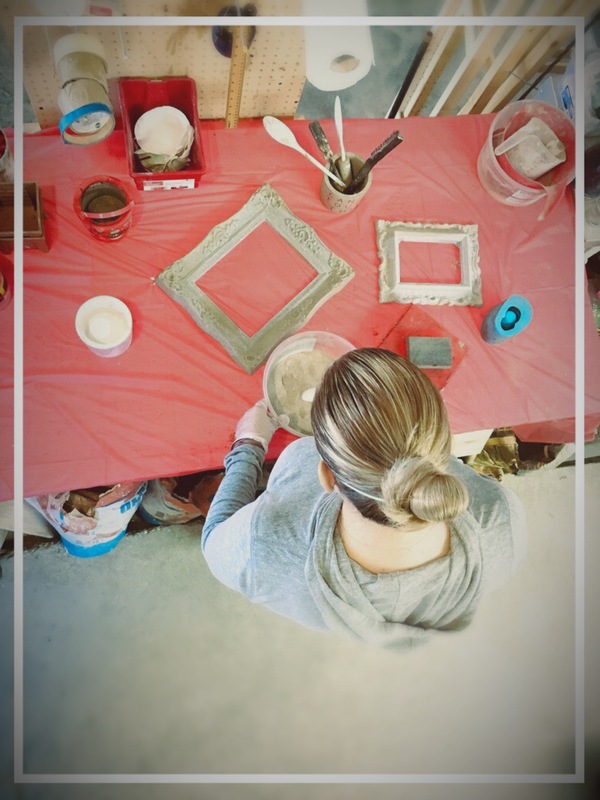 "Here are some super honest everyday pics of my studio space. As an artist this is my first ever true work space of my own and I’m super grateful for it. I used to make every single piece of jewelry in my lap on the couch. Getting a table was actually life changing! The things I love most in the studio are the picture of my grandmother and artwork by fellow artists who inspire me on a daily basis." 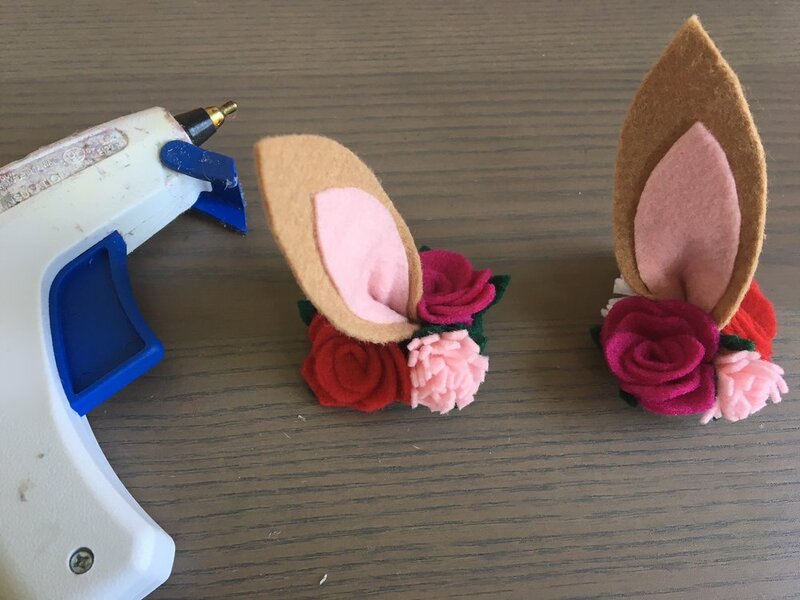 For today's "How I Work My Space" we asked Sol Pitarque of Miss Sol Creations to take us step by step through how she creates her gorgeous felt flower designs. 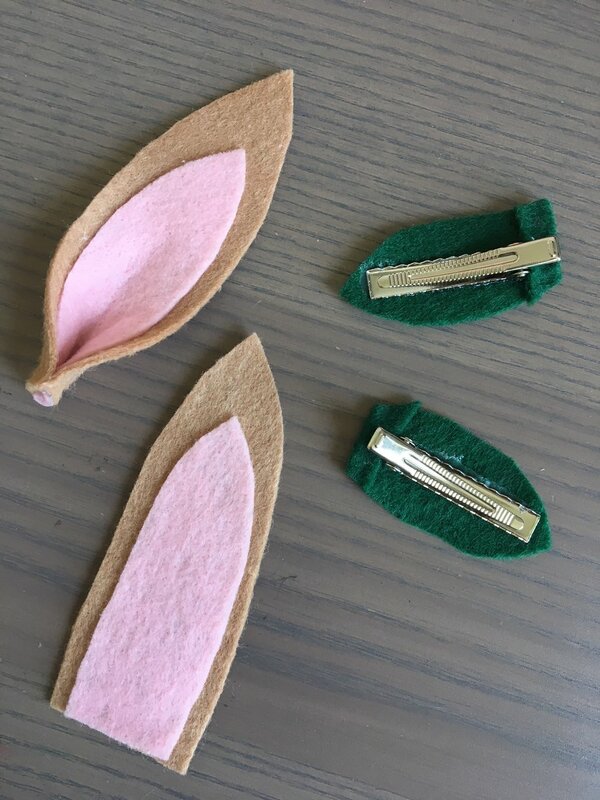 We want everyone to appreciate the amount of work that goes into each piece -- it's incredible! You can click on each image to see them larger. 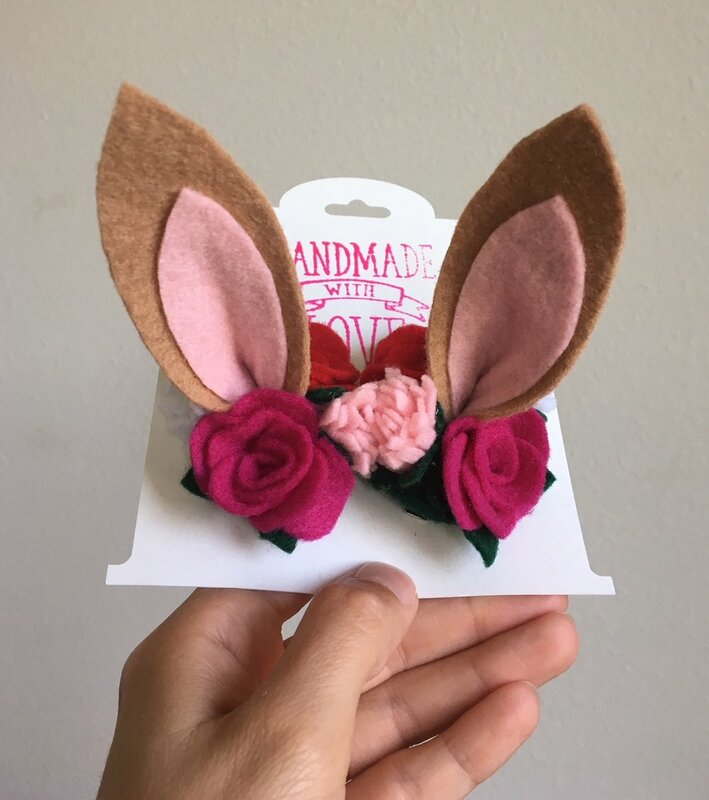 We can't wait to see what Miss Sol Creations brings to Heartmade on April 7!! Stop by and visit from 11-6 on Main and McKinney. Today's workspace belongs to Lisa Chow! "My studio is located in the back room of my house. I share this room with our "mudroom" and our cats' bathroom. It's extremely glamorous. I get really frustrated with the chaotic mess that is my desk about twice a year, clear it all off, only to have it turn into a pastel mountain of junk within a day. The nature of my work allows me to have a ton of fun art supplies; this includes my wall of glitter. My three year old can often be found rummaging through my sticker drawer." We are CRAZY for Lisa and her practically confectionary creations -- she is an original Heartmade artist and we're thrilled to welcome her back this spring! Her gorgeous pastel rainbows and cheeky feminist pieces will be covering your walls after you see her booth on April 7th! Today's workspace belongs to Myrna, owner of NATURAL by M. HAGELSIEB! "I do concrete craft designs!! This photo is me in my dusty space, doing the mix of cement, sand, water and other additives to make the perfect paste. I make my own molds also, so all my pieces are uniques!! After one day letting dry, I take out the piece and then sand it and seal it ... perfect for a NATURAL display." We love Myrna's hilarious hand-painted enamel mugs, her concrete home decor, and her big happy smile! Stop by her booth on April 7th and buy something unique for your home that you will treasure always! We have a brand new feature for you on the blog! 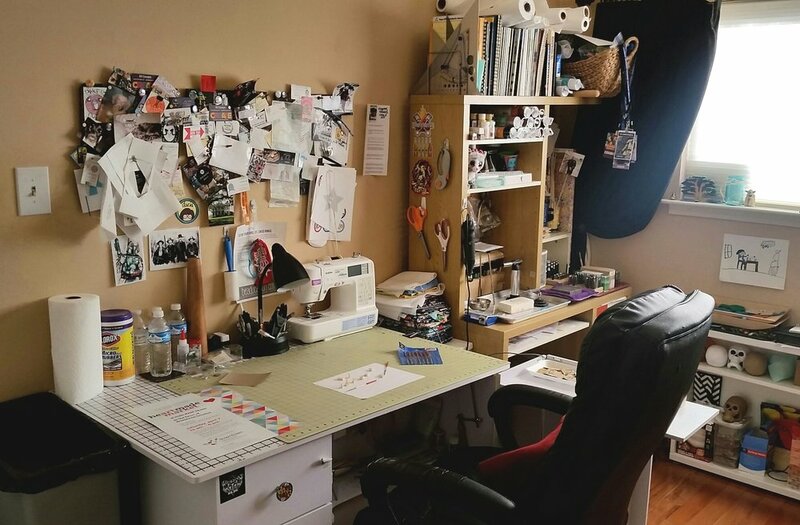 We asked our artists and makers to send us photos of their workspace so that you could see how the magic is made. Keep an eye out for more behind the scenes shots of these talented people and their creative spaces. First up is the lovely Claire of Claire Drennan Knitwear, a new Heartmade creative who we are very excited about!! 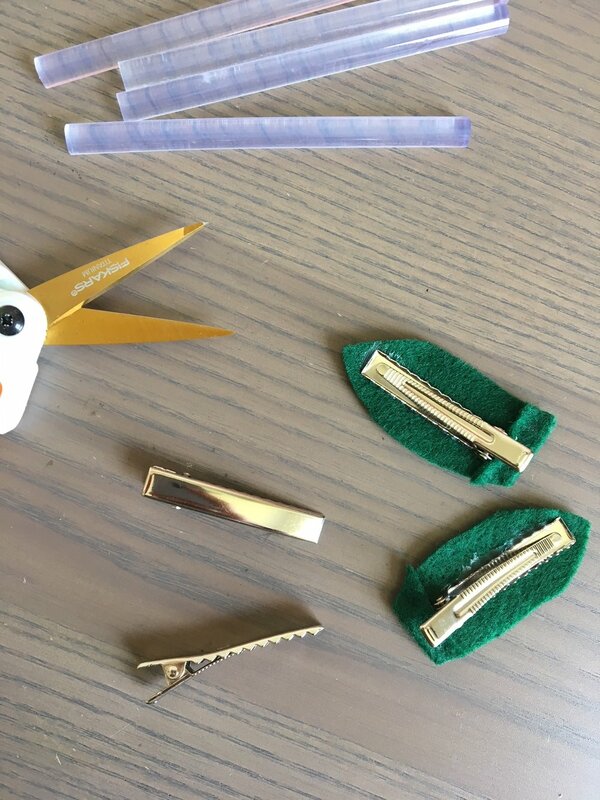 She sent us a couple of photos and a video to show her process and the tools she uses to make her beautiful pieces. "Here I am doing a demonstration at Art Crawl for Canal Street Studios, showing how I use a punch card “computer” to make my h-town beanies. I am wearing one of my 'cloud ties.'" "Here I am being silly and saying I made a dickie. It’s actually a tank top I am making from recycled cotton. All of my work is zero waste and makes use of sustainable materials." 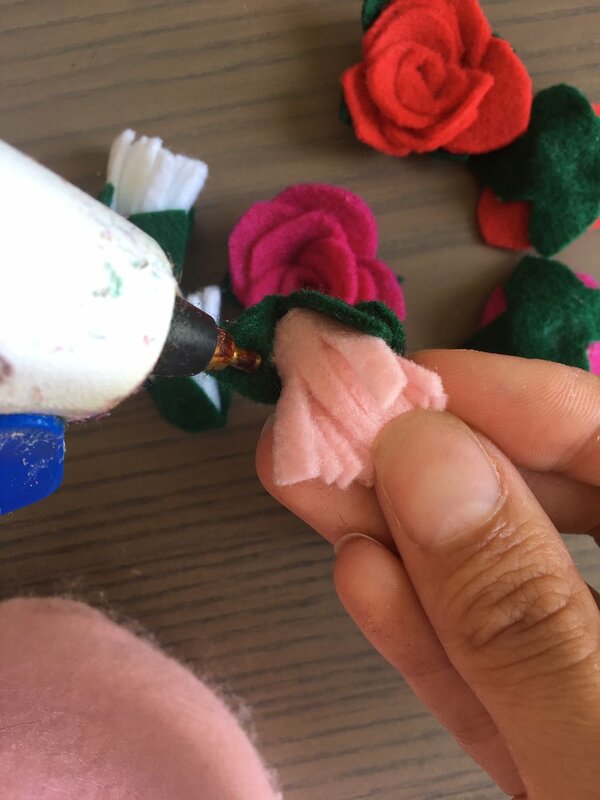 "This [video] was taken as I was knitting the centerpiece of “La Piñata de Verdad,” which won first prize in East End Cultura’s Piñatafest Sculpture Contest last year. I am working on my Studio 360 knitting machine, which is from the early 70s and is totally mechanical." We can't wait to see all of the beautiful pieces that Claire will be showing on April 7th at our 3rd annual spring market! Be sure and stop by her booth and ask about the dickie! 😄 Thanks for the photos, Claire!